I.S.S. 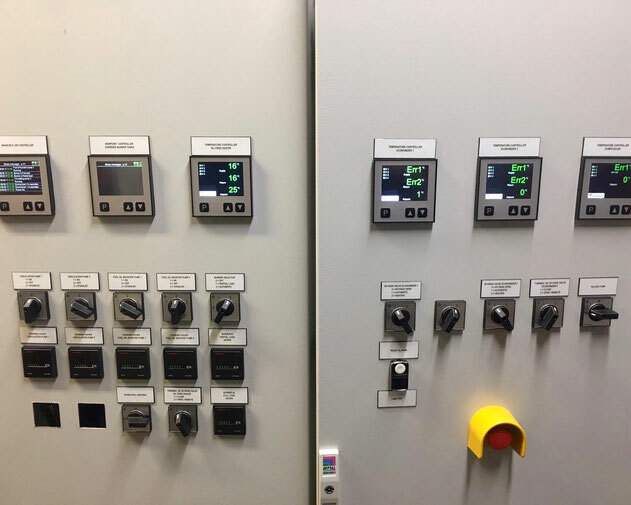 Industrial & Ship Services BV had build a switch panel for a dredger ship. This switch panel had a conventional operating system, using manual switches to control the circulation pumps and the booster pumps and analogue hour counters for the burner and the pumps. 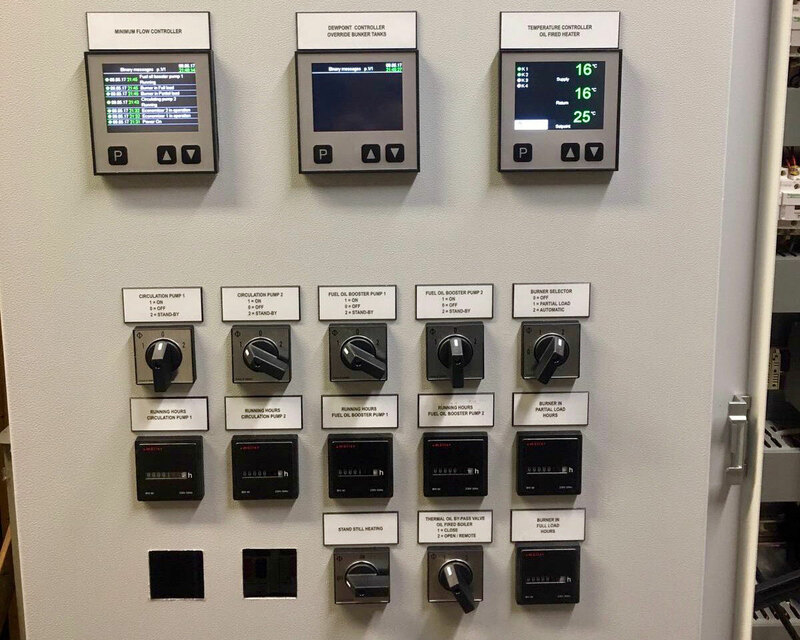 In addition to this, the front panel has I.S.S. 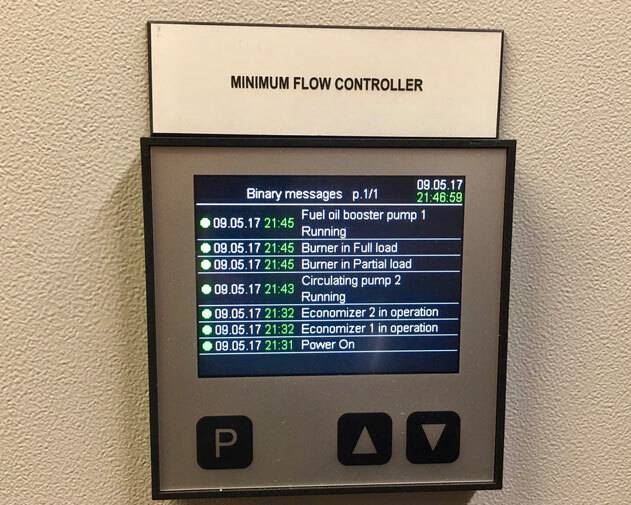 electric controllers to show the temperature of the oil fired heater, the economisers and the dumbcooler, to show the dewpoint of the override bunker tanks and to show the status of the minimum flow of the boiler system. 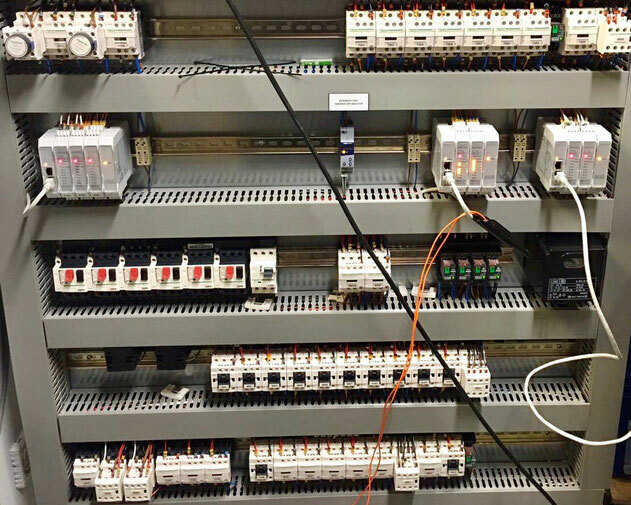 On the inside, Siemens LAL 2.25 oil burner controller was used. The system is placed in a powder coated cabinet, made by Rital. 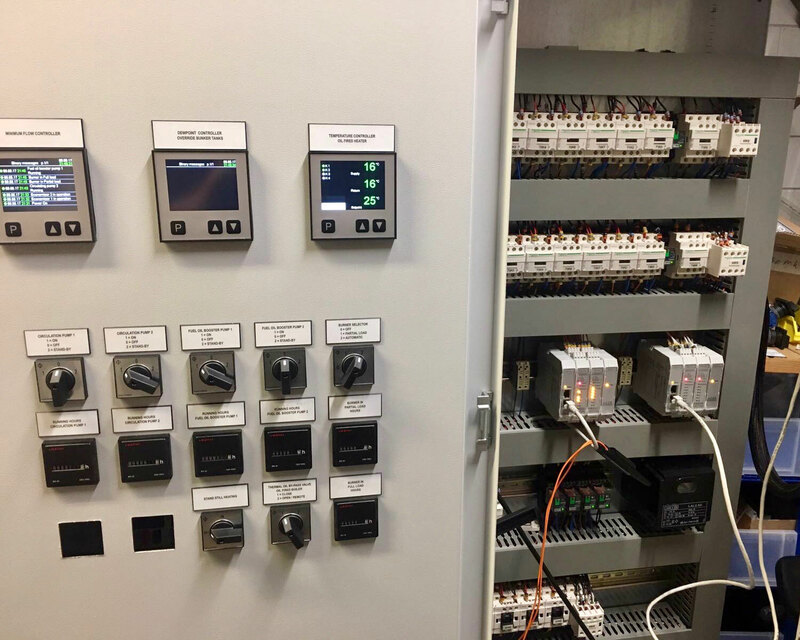 Front of the switch box with digital electric controllers, manual switches and analogue hour counters. A view of part of the front panel and part of the switch panel of this switch box. One side of the front panel of the switch box, showing the electric controllers, the analogue hour counters and the manual switches. The switch panel inside of the switch box, containing various Schneider relays. 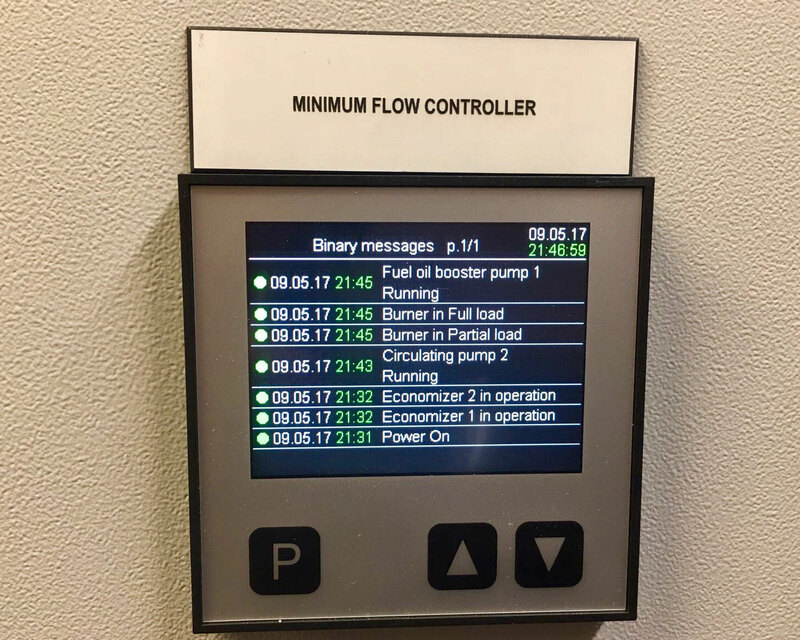 One of the electric controllers, showing the status of the burner, the pump and the economiser.